The yearly introduction workshop organised this year by 3RW’s Espen and Trygve has ended. 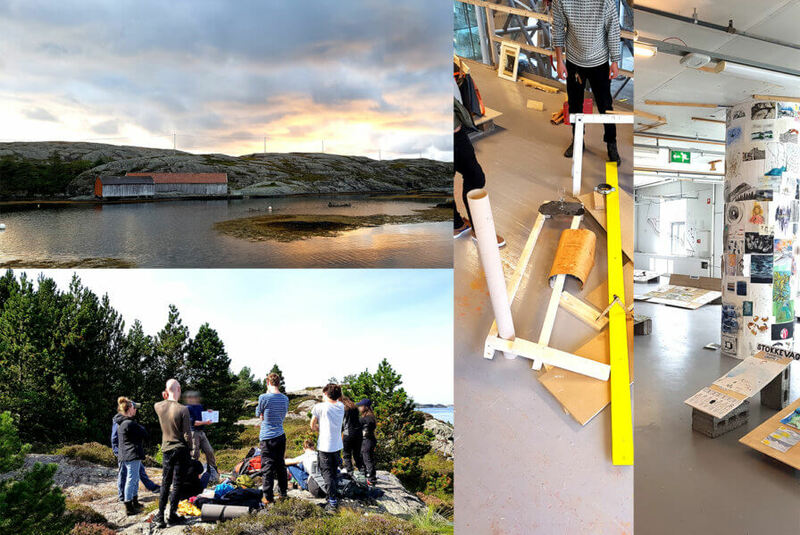 The exhibition organised at the school reflects on one month stay on the island of Solund in Sognfjord, where the students of the first year are introduced to ideas of space, with a serie of exercise looking at drawing and surveying landscape, expressing ideas of scale, refurbishing an old boathouse or setting-up a camp and drawing the reason behind the decisions made while establishing it. More about teaching visual structure at BAS here.